A beautiful Wedding cake can be anything from a single tier to 5 or more tiers. 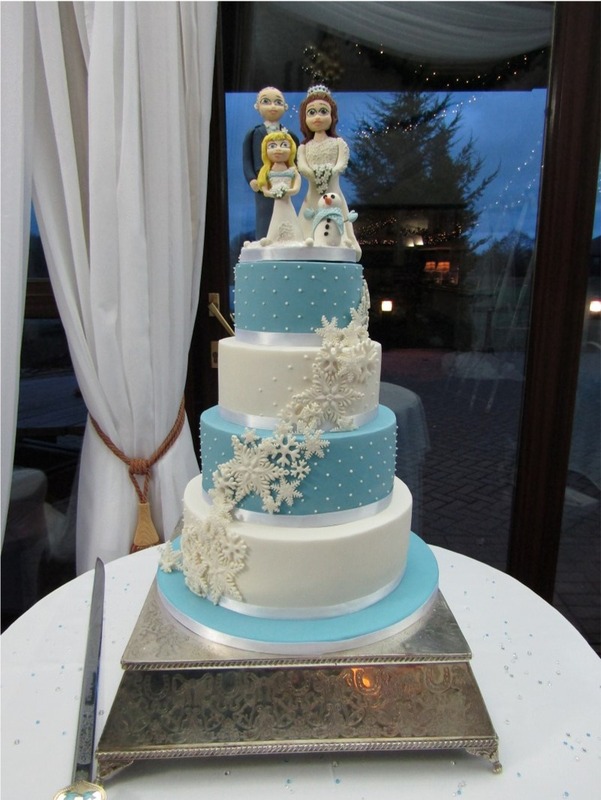 At Iced Images Cakes we are now able to offer our “Bespoke Wedding Cake Service” and our “Timeless Classics Range” , a range of “off the peg cakes” in a fixed design at a fixed price. 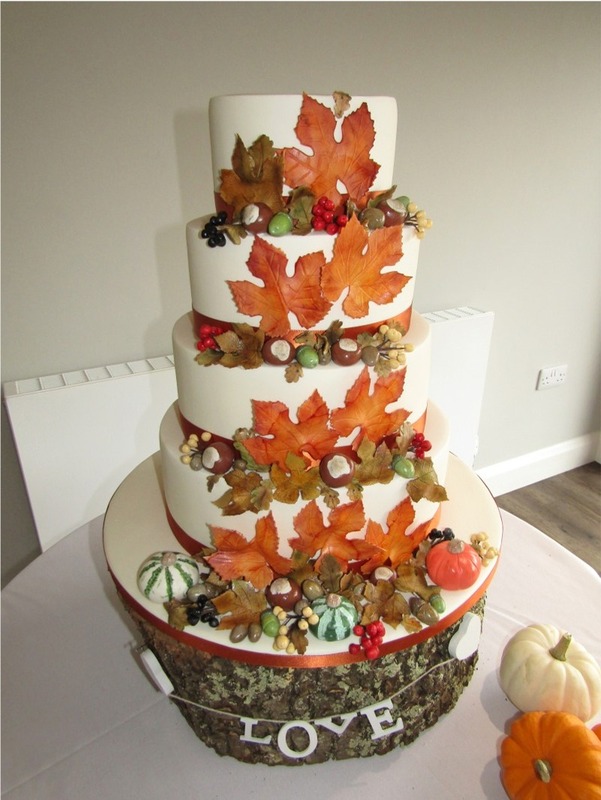 For Wedding cakes we offer the following types of cake bases:- moist Fruit cake lovingly soaked in copius amounts of Brandy, Vanilla Genoese sponge, Chocolate Genoese sponge, Death by Chocolate cake, Zesty Lemon sponge, Red Velvet sponge, or Carrot cake, and these can be made in any shapes or size. 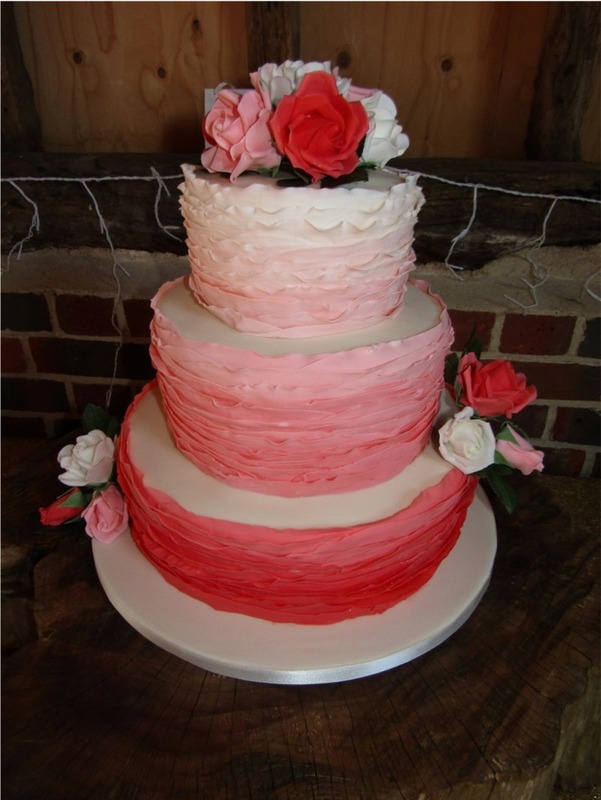 If you choose to have a mulitple tiered cake, each tier can be a different flavour, all tiers can be sponge or you can have a combination of fruit or sponge. 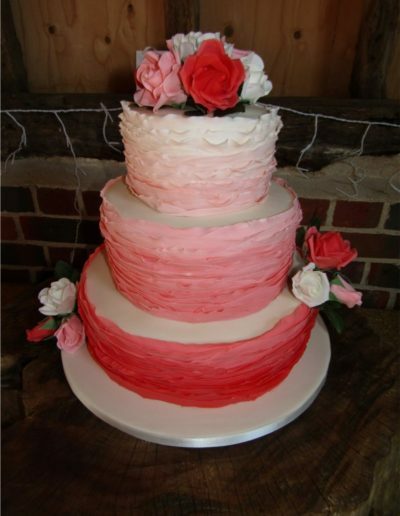 It is not necessary to have the fruit layer as the bottom tier, in fact these days we often put the fruit tier if one is chosen at the top as it is the smallest tier. 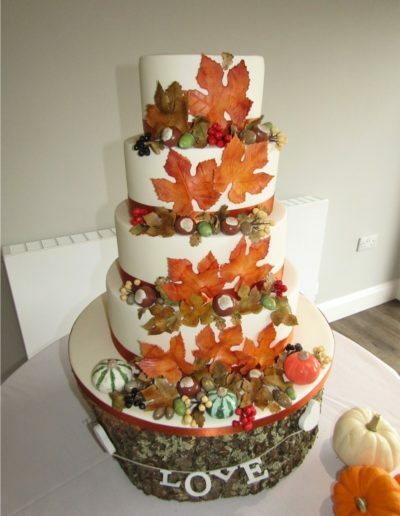 The choice is entirely yours! 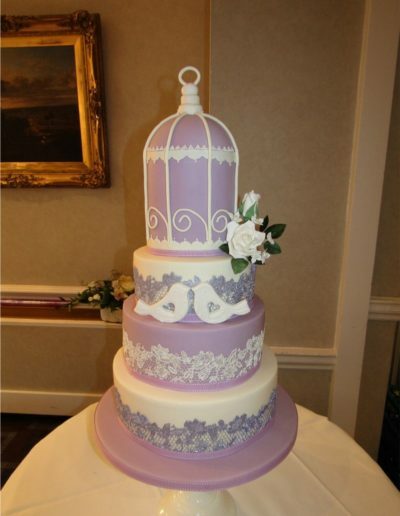 We are very pleased to be able to offer our bride and grooms a selection of wedding cake stands to choose from should your venue not provide one. These are available free of charge but a deposit is required which is refunded upon safe return of the item. 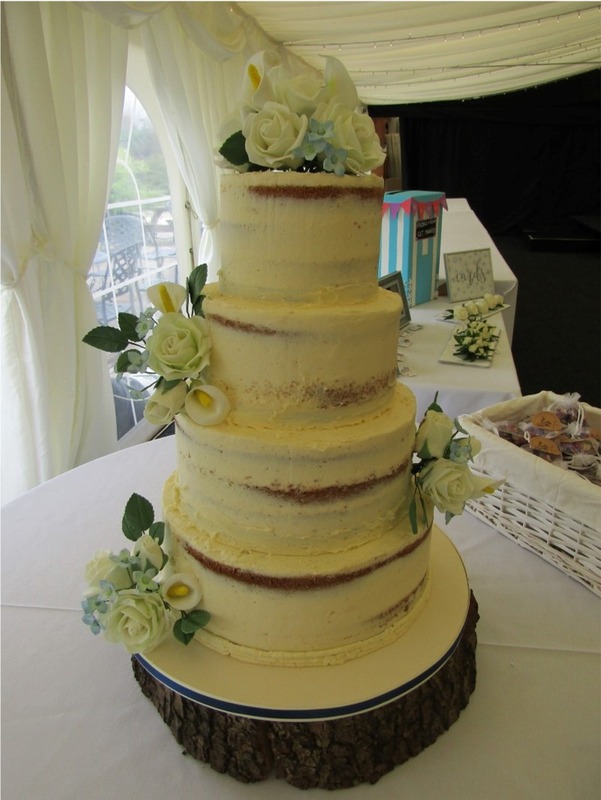 Delivery and set up of your cake is included in the price for local Weddings (within 10 miles of our studio in Ditton, Kent). 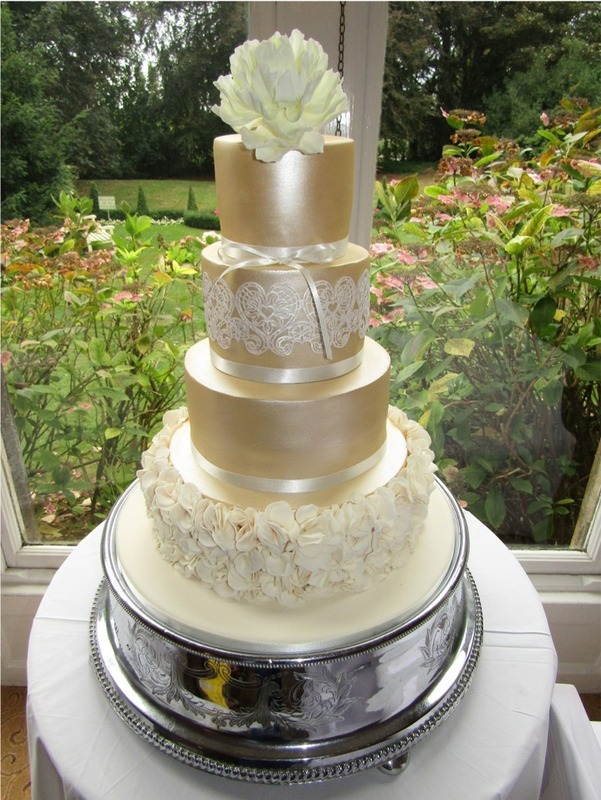 Alternatively your cake can be delivered further afield at extra cost or collected prior to the big day. 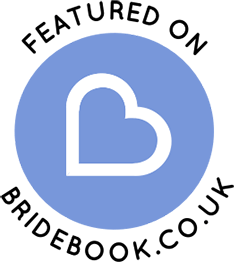 See our Terms and Conditions page for more information or contact us directly.